How do I take out a subscription? You can subscribe directly from our website by credit or debit card, or by Direct Debit. If you need any assistance or any more information, please contact our Subscriptions Hotline. Yes. You can order online or contact our Subscriptions Hotline who can process your order over the phone. We will contact you before the expiry date of your subscription to ensure that your renewal is taken out in good time, so that you don’t miss out on any news or information from us. If you wish to renew at any other time, please call us on +44 (0)1604 828705. You will need to have your 10-digit subscriber number to access your account. Alternatively, please contact our Subscriptions Hotline. As a subscriber you have access to subscriber-only content on the website. You will need to sign in using your email address and password. Just go to www.lgcplus.com/sign-in and follow the instructions. If you need any help please contact our Subscriptions Hotline. Check if your subscription has lapsed. In order to check your status, please log out and log back in again, and go to your My Account page, which will show you your subscription status. 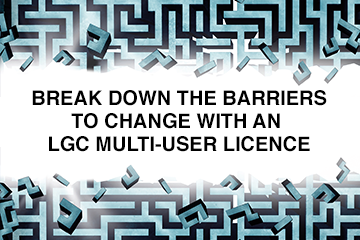 As a registered users you will only have limited access to the LGC content. By becoming an LGC subscriber, you will unlock a wealth of resources with full access to LGCPlus.com and a fortnightly print magazine. Click here to upgrade your account. Please check you have provided us with your correct email address. To check which email address you are registered with, sign in to your account and go to the Account Settings page. If your details here are correct, we suggest you check your mailbox settings to see if the newsletters are being pushed into ‘junk’ mail or if your mailbox is full. To avoid the newsletters being treated as spam, it may help to add the e-mail address lgc@mail.lgcplus.com to your address book. If you are still experiencing problems, please contact your email service provider. First, sign in to the website, click on ‘My Account’ and then go to ‘Account Settings’. If this does not enable to you to ‘unsubscribe’, please contact our Customer Services team. We are upgrading our email platform to bring you a better, more reliable experience. Take action now and add @lgcplus.com to your ‘safe senders’ list or ‘whitelist’. This will make sure our emails don’t get blocked or sent to spam or junk and that you’ll never miss an email from us. Ever get annoyed because an important email has landed in your junk folder? You can prevent this happening to email from your contacts by adding their email addresses to a list of ‘safe senders’, also known as a ‘whitelist’. The following instructions will help you add LGC to your safe senders list. In Outlook, from the ‘Home’ tab, go to ‘Junk’ as shown here. Next, open the ‘Safe Senders’ tab and then hit the ‘Add’ button. Type @lgcplus.com into the box that opens up. Choose ‘OK’ and then ‘OK’ again and you’re done. Emails from @lgcplus.com should now arrive safely in your inbox. If you still experience problems, first check your ‘Clutter’ folder settings. After that, if you are using a work email account, try contacting your IT department and ask them to look at the settings under ‘Corporate whitelisting’ below. In Outlook.com (which also serves Hotmail users) go to the ‘Settings’ menu via the cog icon and then choose ‘Options’. Look for Mail > Junk email > Safe senders on the menu and open it. Type @lgcplus.com into the text-input box that reads ‘Enter a sender or domain here’. Then save your changes with the ‘Save’ button and you’re done. In Outlook, go to ‘Tools’ tab, then ‘Junk E-mail Protection’. Next, under ‘Safe Domains’, type in @lgcplus.com and save it to the list. Gmail has no ‘safe senders’ list. In Gmail you just add the sender’s email address to your contacts instead. To add LGC to your contacts, open the latest newsletter you have received from us and hover over the ‘from’ name. Then choose ‘Add to contacts’ and save the new contact. If the email has gone to your spam folder you will need to mark it as ‘Not spam’ first. In Android you need to add the sender’s email address to your contacts to make it a ‘safe sender’. To add LGC to your contacts, open the latest newsletter you have received from us and tap the contact picture next to the ‘from’ name. Then choose ‘Create contact’ to save it as a new contact. If you use a work email account, your IT department will probably have their own ‘safe senders’ list. Q. Why don’t these details mention LGC? A. Our email sending platform is shared by other products published by Plexus, the company that publishes LGC, so at this level the details reference the company, rather than the individual brand. Done all this but still not receiving your regular LGC emails? but are still not receiving your regular LGC emails, then it is possible that a number of our past emails to you have been rejected or ‘bounced’ and that you have been removed from our mailing list as a result. To correct this, please contact our customer services department during UK office hours via customerservices@lgcplus.com on +44 (0)20 3033 2626, let them know the steps you have already completed and then ask them to get your email address added back on to the list. As of 14 February 2019, the LGC magazine changed from a fortnightly to a monthly magazine. 12 issues of LGC will now be available each year to all subscribers, to better compliment unlimited access to LGCPlus.com. We believe that by producing a larger monthly magazine, we can better integrate our print and digital products and enhance your enjoyment of them. You will now receive more pages and deeper insight in the new look magazine. While we remain committed to high-quality reporting, our monthly magazine will also bring you a wider range of local government stories, best practice, expert opinion and more infographics and long reads that work so well in print to make analysis and detailed journalism more accessible. Subscriptions Hotline: For the Subscriptions Hotline, please call 0844 848 8858, or +44 (0)1604 828705 if calling from outside the UK. Lines are open Monday to Friday (8.00am – 9.30pm) and Saturday (8.00am to 4pm) GMT. Customer Services Team: If our FAQs do not help solve your problem, please contact the Customer Services team via customerservices@lgcplus.com or +44 (0)20 3953 2000 (Monday to Friday 9.00am – 5.30pm GMT).